What about some submarines? ?? P.S. Many of these would require 4 channels for control of 4 engines, or at least tandem control of "2 pair" of engines. Congratulations on SS08. I'm loving it. I vote for Passengers vessels. Because I like passenger. Personally i hope to able see this ship add in future. 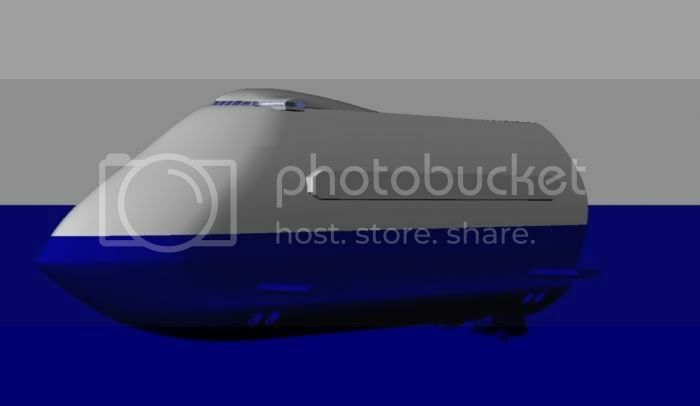 By the way few year ago like ummm 3 or 4 year ago My best friend and I has been work on wild idea design of passenger ship that happen to be submarine as well (Ship and Submarine in one design) But sad i dont have that file anymore. I dont know if i could recreate... Ummm oh yeah what program you guys use that design a ship cuz i would have try again anyway here picture. Voyager, Ready for beam up. I would like to see passanger vessels like these two both which I have been on. What Hering said, older ships would be a great addition for SS08. I vote for others, because I like to see inland barges, tankers and cargo and also push barge and tugs. How about a paddle steamer. I remember a paddle steamer called SS Ryde, she was a passenger ferry running from Portsmouth to Ryde in the late 60's, very hard to handle, when it was going astern we had to use a bow rudder as you can not use the paddles to steer and there was next to no steerage from the stern rudder. What about one like this? Retired, UK foreign going Masters Ticket. Traddles: You hitted the nail there! That's a type of ship i would really like to see in SS08. I sailed on this one in 1952! as Cadet. 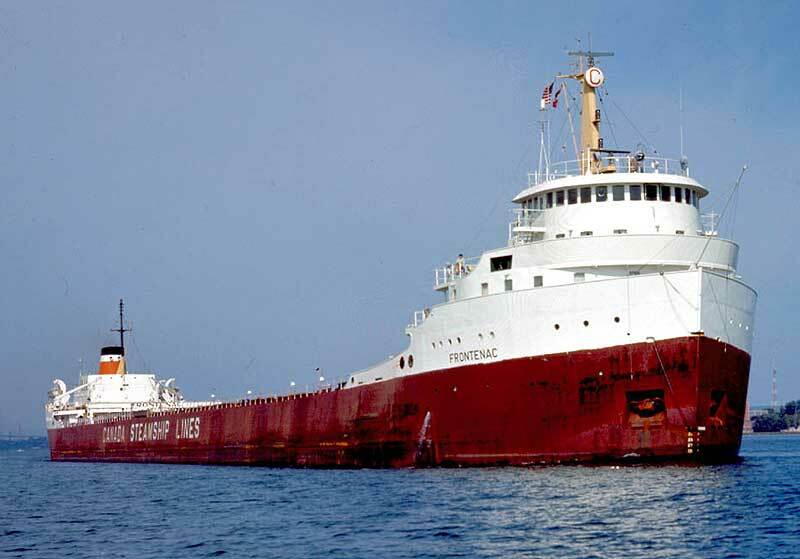 She had no radar,no gyro compass AND no Wheelhouse or auto pilot, but she was one of the happiest ships I sailed on. The crew came from Barbados and the cook made the best macaroni cheese ever . She was sunk at Suda Bay, Crete during the last war, salvaged by the Germans and renamed "Pluto" and then sunk again by RAF bombers in Trieste, Italy. The Royal Navy had her salvaged again and she was taken over by the British government as "Empire Wily" and eventually sold back to the Harrison Line of Liverpool and re-named "Dalesman". In her holds you could see British, German and Italian steelwork. What a history! "Dalesman" was built by Lithgows on the Clyde in 1940, 3 cylinder triple expansion steam engine with Bauer-Wach exhaust turbine. Service speed 14.5 knots, Cost at time of building? A whole Â£186,000. 14,5 knots? That ain't to bad at all! But, on-topic, i do have a ship in mind for SS08. She is one of my all-time favourite ships, the Great Laker SS "Edward L.Ryerson"
I really like the old-style Lakers, they are beautifull ships. The "Ryerson" is uniqeu, because it's the only Laker, that has "designed" super-structures. 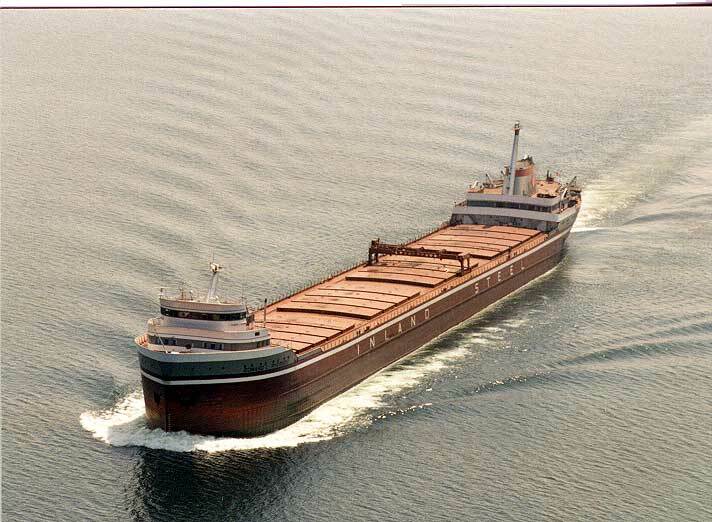 Most lakers are pretty straight forward, but the "Ryerson" has very nice details, like the stack, the masts, etc. Allthough not as detailed as the "Ryerson", i still find this a beauty as well. Add-on engines? I'm afraid I don't quite follow you. What do you mean? Hey, I would love to see some millitary vessels, eg a destroyer or cruiser in ship simulator 08. and i understand that ship sim is a non combat sim, but the ship would not have to be able to fire etc, but just a skin (alot like the military aircraft addons in flight sim x) just a suggestion as it would be pretty cool. A PCTC would be great! Fits to all harbours. Would one like this be OK. Two 250tonne SWL Stulken derricks capable of lifting 500tonnes when used in tandem with a lifting beam. was she aconversion of a Victory?